HALIFAX, May 14, 2018 /CNW/ - Oceanus Resources Corporation (TSXV:OCN and OTCQB:OCNSF) ("Oceanus" or the "Company") is pleased to announce that the Company will be participating in the 2018 International Mining Investment Conference taking place May 15-16, 2018 at the Vancouver Convention Centre, East Building, located at 1055 Canada Place, Vancouver, British Columbia. Oceanus will be exhibiting in Booth #117 for the duration of the conference. The Company is continuing to conduct mapping and sampling activities at the El Tigre Property in order to identify targets for its next drill program. The El Tigre property is approximately 35 kilometres long and now comprises 26,307 hectares. The El Tigre gold and silver deposit is related to a series of high-grade epithermal veins controlled by a north-south trending structure cutting across the andesitic and rhyolitic tuffs of the Sierra Madre Volcanic Complex within a broad gold and silver mineralized prophylitic alternation zone. The veins dip steeply to the west and are typically 1 metre wide but locally can be up to 5 metres in width. The veins, structures and mineralized zones outcrop on surface and have been traced for a distance of 5.3 kilometres along strike. Historical mining and exploration activities focused on a 1.5 kilometre portion of the southern end of the deposits, principally on the El Tigre, Seitz Kelly and Sooy veins. Four veins in the north (Aguila, Escondida, Fundadora and Protectora) were explored with only limited amounts of production. The El Tigre formation is the rock package that hosts the historic El Tigre mine, which operated from 1903 to 1938, and was reported to have produced a total of 353,000 ounces of gold and 67.4 million ounces of silver from 1.87 million tonnes averaging 7.54 g/t gold and 1,308 g/t silver (Steven D. Craig, B.A., M.Sc., P. Geo. 2012). Oceanus&apos; drilling has intersected similar-style gold-silver mineralization in the El Tigre formation at the Protectora, Caleigh and Fundadora areas to the north of the old mine as well as to the south, past Gold Hill. Neither TSX Venture Exchange nor its Regulation Services Provider (as that term is defined in the policies of the TSX Venture Exchange) accepts responsibility for the adequacy or accuracy of this release. This News Release includes certain "forward-looking statements". All statements other than statements of historical fact included in this release, including, without limitation, statements regarding potential mineralization, resources and reserves, the ability to convert inferred resources to indicated resources, the ability to complete future drilling programs and infill sampling, the ability to extend resource blocks, the similarity of mineralization at El Tigre to the Ocampo mine, exploration results, and future plans and objectives of Oceanus, are forward-looking statements that involve various risks and uncertainties. Forward-looking statements are frequently characterized by words such as "may", "is expected to", "anticipates", "estimates", "intends", "plans", "projection", "could", "vision", "goals", "objective" and "outlook" and other similar words. Although Oceanus believes the expectations expressed in such forward-looking statements are based on reasonable assumptions, there can be no assurance that such statements will prove to be accurate and actual results and future events could differ materially from those anticipated in such statements. 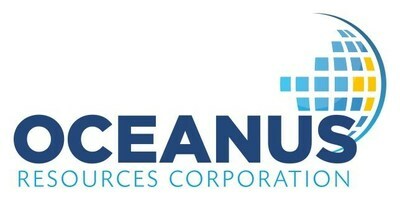 Important factors that could cause actual results to differ materially from Oceanus&apos;s expectations include risks and uncertainties related to exploration, development, operations, commodity prices and global financial volatility, risk and uncertainties of operating in a foreign jurisdiction as well as additional risks described from time to time in the filings made by Oceanus with securities regulators.